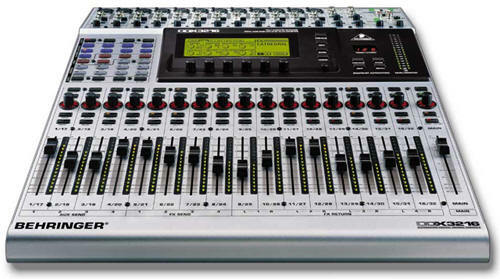 A page for Behringer digital mixer. My purpose is to collect useful information for the device - manuals, schematics, software and firmware. If you have anything useful to contribute to this page, do not hesitate to get in contact. I will also try to gather information about modifications, repair experiences and such from the various forum and web sources. 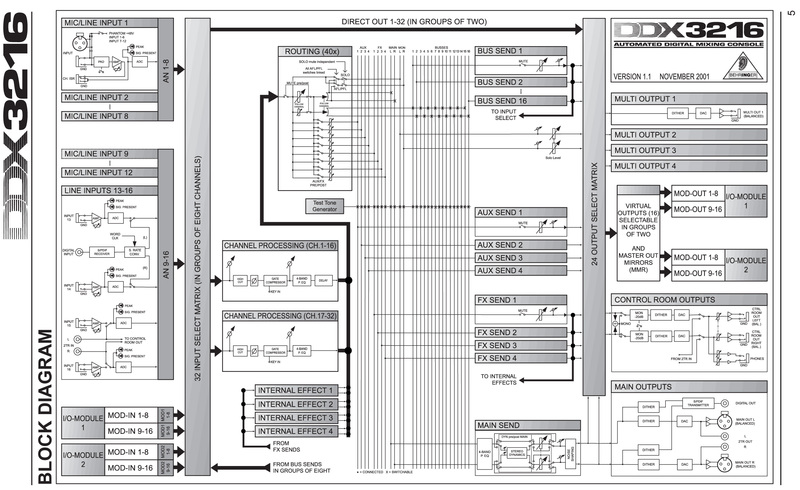 Also found in User Manual, rotated and rendered here in JPEG format. Picture of the rear panel connectors. ADAT (ADT1616) and AES/EBU (AES808) Expansion Cards installed. Update will start and last about 10 minutes. Progress is displayed. Common failure point: Crystal Q3 (32.768kHz). Problem: runs for awhile, then locks up. Mouser part number 559-NC38-LF. Made by Fox, part number NC38.